Cirlock have launched two new electrical plug lockout devices, the PLD-11 and PLD-12. The PLD-11 electrical plug lockout device enables users to lock out most 240V type electrical plugs, keeping workers safe when repairing machinery. 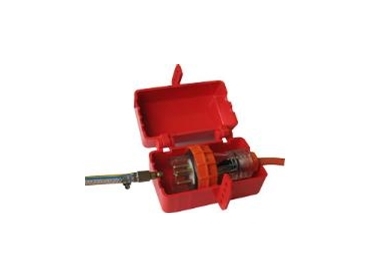 The PLD-12 electrical plug lockout device will furthermore lock out many types of 3 phase plugs and also pneumatic couplings, making it a versatile lockout device where various types of machinery is in use. Both devices are made from high impact resistant ABS Plastics in a bright red colour. CIRLOCK have manufactured lockout devices in Australia since 1992 and have a wide range of lockout products to suit Australian used equipment.